Every song begins with one note as every journey begins with one step. So here begins my journey to thread hope across the world, one song at a time. I'd like to think that we can, one by one, each make a difference with our focus of intention. I also believe that music has the power to inspire, to elevate and to heal, giving us all hope in our darkest moments. In spite of everything, the human spirit will prevail. As John Lennon sang, 'Imagine', I, too, dare to dream big. This grassroots movement began with the seed of an idea that continues to grow and evolve as I take each single step. All sales and donations from these songs will be used to continue making music video 'pay it forward' collaborations to thread hope across the world. 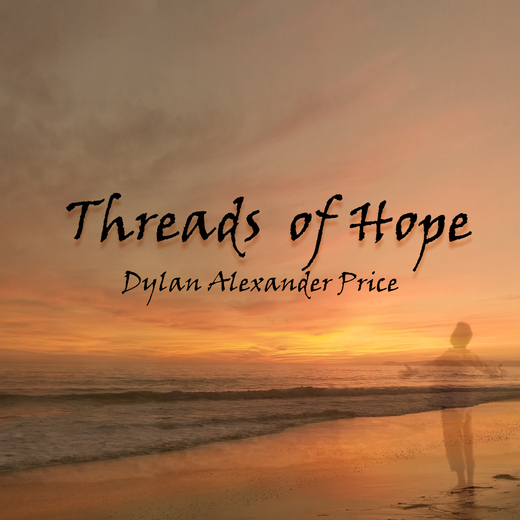 BIO ~ A Tennessee native who now lives in Los Angeles, Dylan Alexander Price is a strong believer that music can heal and change the world. He is passionate in his belief that “art as expression of self can heal, inspire and provoke others to expand their consciousness,” and says that, “I'd like to think we can, one by one, each make a difference and create a shift in direction and consciousness.” Clearly that is the direction Dylan has taken with his own music. As a singer/songwriter, his pop/electro style has been influenced by Elvis, Elton John, Annie Lennox, Coldplay, Johnny Cash, Alicia Keys, Madonna, and others. When pressed to describe his musical sound Dylan says, "As a songwriter, all I really have is my perspective,” but a few listens will tell you that his is really an eclectic blend of styles, ranging from country blues to Motown soul/pop. A veteran of a constantly changing music business with previous record deals in Germany, Holland, France, the United Kingdom and the United States, Dylan now records with bi-phonic songs, his own independent music publishing company. Dylan credits the craft of songwriting as his most rewarding gift on his continuing journey.